Those of use with a love of pulp science fiction know exactly how the Solar System should have been. It should have been filled with strange aliens, unique animals, forests and rivers. 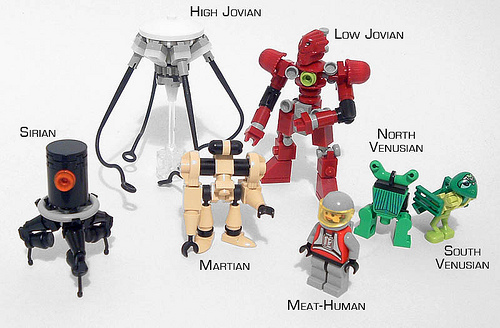 To remedy this Soren Roberts has ensured we can populate our LEGO universe with weird and wonderful intra-system aliens. My favourite is the Martian (more later) but they’re all terribly cute. 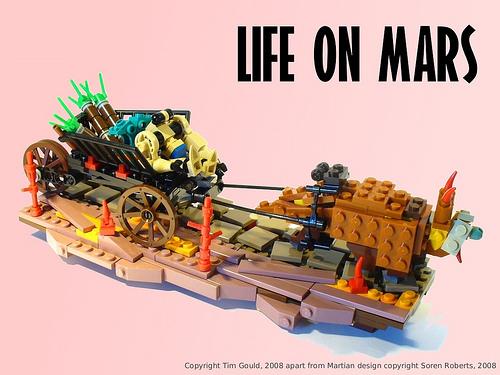 Having seen the Martian I couldn’t escape the thought that he desperately needed a pseudoyak and cart. My heavily overtired brain took surprisingly little time to come up with this little diorama. That’s every sand-red piece I own right there.